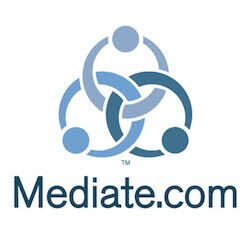 Heartland Mediators Association is listing the mediation training and practicum opportunities below that are offered by the membership throughout the states of Kansas, Missouri and Nebraska. We urge you to contact the centers for additional information about their background and expertise. We are offering this information as a public service and make no representation about the skill of the training listed below. The training and practicum fee arrangements are not regulated by the Heartland Mediators Association. Practicum: Core – Domestic and other. Please check with the practicum coordinator about opportunities available. Responsive to the needs of the community, many conflict resolution practitioners, attorneys, civilians, soldiers and family members attend our education, professional development, and practicum learning opportunities. or co-mediate in our small claims court. The Werner Institute provides an interdisciplinary program leading to master’s degrees and graduate certificates in negotiation and dispute resolution for students from a variety of fields as well as mid-career professionals.